Pankaj Saran’s lecture focused on major political trends in India. 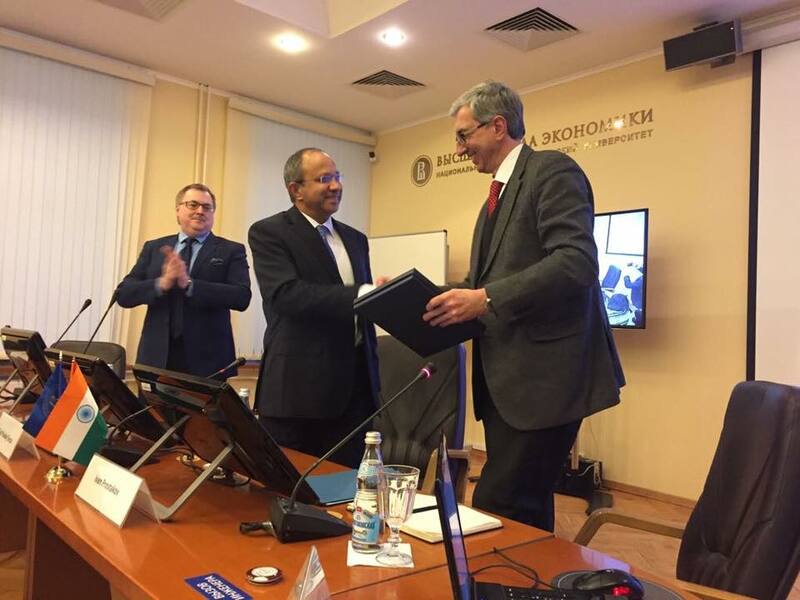 Indian Ambassador to Russia Pankaj Saran delivered a public lecture at the Higher School of Economics in Moscow on Mar. 6. His speech was titled ‘New Trends in National Politics of India.’ Students and professors from leading Russian universities, as well as members of the Indian community in Moscow were present for the lecture. Among major trends in modern Indian politics, Saran mentioned the emergence of new political forces, consolidation of democratic institutions and the growing political role of youth in India. Saran also spoke about the rise of the Indian middle class. “Whatever you see in the political space is simply a reflection of ground realities, and the reality on the ground is that India is a highly plural and highly diverse society,” he said. During the question and answer session, Saran said the intensification of Indo-Russian cooperation in new avenues was a top priority. “We want Russian investment into India, and I can assure you that we are moving in that direction,” he said.